Seventeen-year-old Rain would do anything to escape Planet Earth where people have begun tolose their minds before vanishing altogether. Now it looks like Rain’s beloved brother has become one of the ‘Touched’, and it’s only a matter of time before he disappears, leaving her alone in a bleak, dangerous world. Desperate to save Walker’s life, Rain leaps at an offer of passage into the Void – the space highway – from Johnny, a darkly compelling captain who promises medical help on a distant planet. There’s only one hitch: Johnny is a trader, and he wants the one thing beautiful red-haired Rain has left to trade. Her body. On board the Imreas, far out in the lawless Void, Rain makes some terrible discoveries. Girls are swapped like commodities, the Touched are a secret cargo bound for an underground slave trade – and she is the property of a dangerous man. Only Johnny’s head servant Ben knows the truth and is prepared to bring Johnny down. If Rain remains ‘Johnny’s girl’ she may save her brother’s life, but if she helps Ben she could save hundreds from a terrible end. 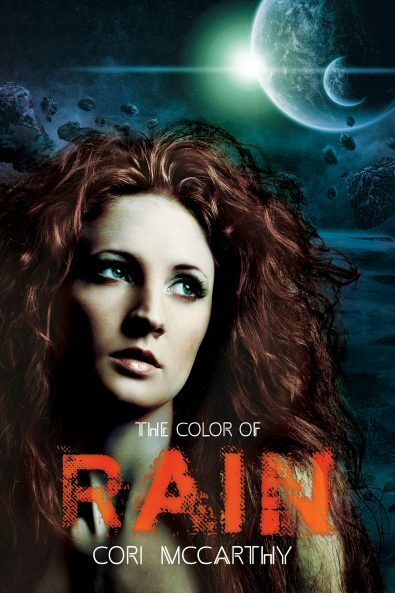 Rain’s decision will take her on an epic journey not only through the universe, but also to reclaim her body, her self-worth – and the risky possibilities of love. 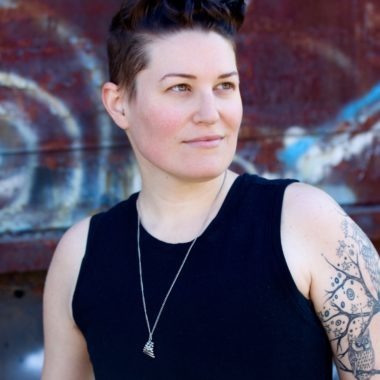 Their second novel, BREAKING SKY, is in development to become a film at Josephson Entertainment, while their third title, YOU WERE HERE, is a contemporary mixed-media novel containing graphic novel sections and word-art poetry. Their fourth title, NOW A MAJOR MOTION PICTURE, releases from Sourcebooks Fire in 2018, followed by a duology written with their partner, Amy Rose Capetta, entitled ONCE & FUTURE, which publishes in 2019 and 2020. In 2021, Cori’s first picture book will be released from Candlewick, a biography of the inspiring Lebanese-American poet Kahlil Gibran, entitled HOPE IS AN ARROW. Like many of their characters, Cori is a member of the LGBTQ+ community.